It has been so crazy around here lately. I think the summer lazies have started to kick in. There have been days where I just didn’t feel much like doing anything. I did however get a great crop of lettuce and broccoli out of the garden last night for dinner. 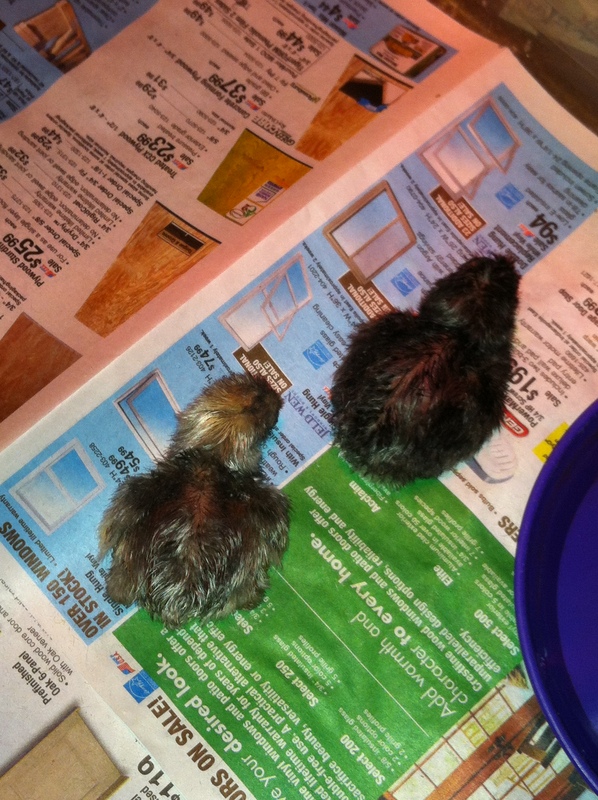 And I had 2 baby chicks hatch yesterday morning. Still waiting on the other 17. I did hear some peeping, so I am keeping my fingers crossed. My first hatch went so well, I am really hoping this one does too, but it’s day 22, so I am starting to get worried. Hatching eggs can be stressful. Scarlett is still sitting on her eggs, hers are supposed to hatch next week, I am truly hoping some of those make it. I would love to see what kind of momma she will make. I’ve heard silky’s make awesome momma’s. After the next couple of hatches I might take a break from incubating, but it’s hard. It’s eggciting to see what you might get. I’m going to have Nick start on some more coops. That way we can start separating them and keeping the chicken yard more in order. They have taken to coming up on the porch and I really don’t like it. They poo everywhere and I have to wash down the deck everyday. Tonight I will be hopefully planting a couple of rose bushes around the pool if it doesn’t rain. Well here’s hoping everyone has a productive day. Posted on June 10, 2014, in Uncategorized and tagged backyard, bible verse, chickens, chicks, coop, eggs, flock, friends, garden, hatching, homestead, incubator, love, run, vegetables, weather. Bookmark the permalink. Leave a comment.